The Isle of Man is one of the fastest, coolest, and deadliest true road races in the world. Motorcyclists fly around closed off public roads at triple digit speeds that are so narrow they would be hard for normal drivers to navigate at low speeds. Riders die doing what they love here on a regular basis. They also run cars at the event. Subaru currently holds the record for the fastest lap of the 37.7-mile Isle of Man course. The record stands at 19 minutes, 26 seconds by driver Mark Higgins in his WRX STi racer back in 2014. If you have never seen that lap, watch the video below and see Higgins blasting the WRX wide open down curvy two-lane roads. 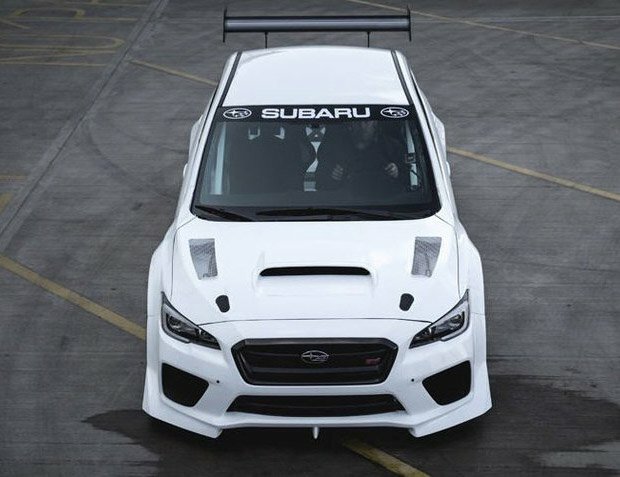 Subaru wants to improve upon its record and is showing off the racer that will be used for the attempt. The new car is a WRX STi with even more power and lots of aero tidbits including a big spoiler, roll cage, stripped interior, and lots more. Subaru is mum on the performance details. The car from 2014 could reach almost 160mph, so it’ll be interesting to see what the new one can do.